Here's a not-so-secret fact about me: I'm a sucker for cheap craft kits. 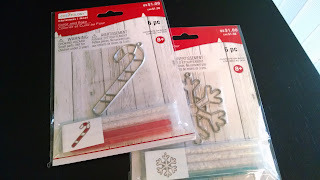 We picked up these kits at Michael's, and I think they were even a bit cheaper than the $1.00 each they're marked at. Each kit comes with a metal suncatcher frame and four tubes of tiny plastic crystals. The directions are on the back of the cardboard piece. It didn't take long to fill the candy cane, but the snowflake took more time because of all the little fiddly bits. It was slightly annoying because I got most of the way through the snowflake when I realized that one of the little arms didn't sit flat, and I was worried about plastic oozing out under the edge when it baked. So I gently bent that arm a tiny bit, but then had to start over. Build your own 3D model of frustration with Creatology's Christmas Eve foam kit! What better way to celebrate the magic of Christmas than by mounting the severed head of Comet to your wall? 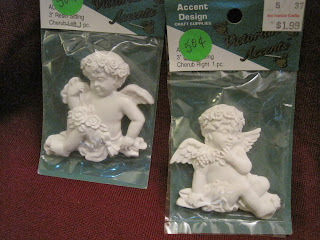 I know it's a bit of a cheap shot, but I spotted these resin cherubs at a yard sale and had to have them. 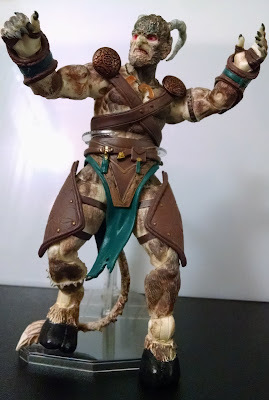 I added little horns with Kneadatite, and painted the horns a base coat to match the figure. These are pretty small, so fine detail wasn't easy. I had a lot of luck using watered down dark colors to give a bit of dimension. They came out pretty nice. Scary, right? I added some sculpture with Crayola Model Magic. This was a bit of an experiment, but it worked okay. I had to use super glue to reattach the dried pieces to the little ceramic figures, though. Aww, now they're cute little tentacled monstrosities from beyond space! Much improved, I think. 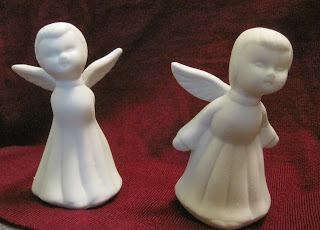 After I had so much fun last year re-painting angels intogeekicons, I thought this year I'd create a few monsters. Really all I did to this was clean it and repaint it. The white wash on her skin looks better in person, but the rest of it photographed well. 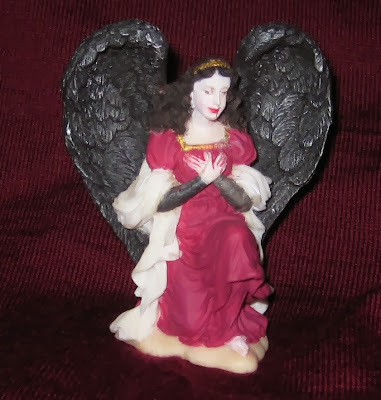 Like the others, this project started out with a statue I bought at a craft store. The silver got the reverse: only lightly in the depths and bright on the high parts. Then the rest of it needed paint. A good deal of paint later, and I'm very happy with the finished product.